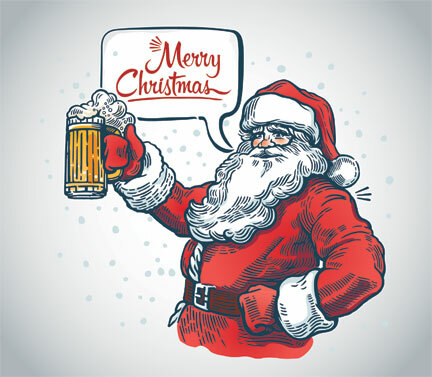 Fat Willie’s would like to wish all our customers & friends a very Merry Christmas. Willie’s will be open Christmas Eve from 11am to 5pm and will be Closed ALL DAY Christmas Day. We hope you are all able to enjoy the holiday with family and friends and we will see you December 26th at 11am. Santa will probably need a brew after all those deliveries! A holiday benefit concert for the Ryan Cappelletty Scholarship Fund. Ricky Manning, Pittsburgh’s “singing detective,” will be performing at Cole Auditorium at 6 p.m. on Saturday, December 8th Concert is free to attend, donations will be accepted for the scholarship fund. The fun will continue afterward at 8pm when The Donnie Irish Band, will be playing at Fat Willie’s, where we will also pass the hat for the scholarship. Make an evening of it and join your friends at either or both event…. all for a great cause.